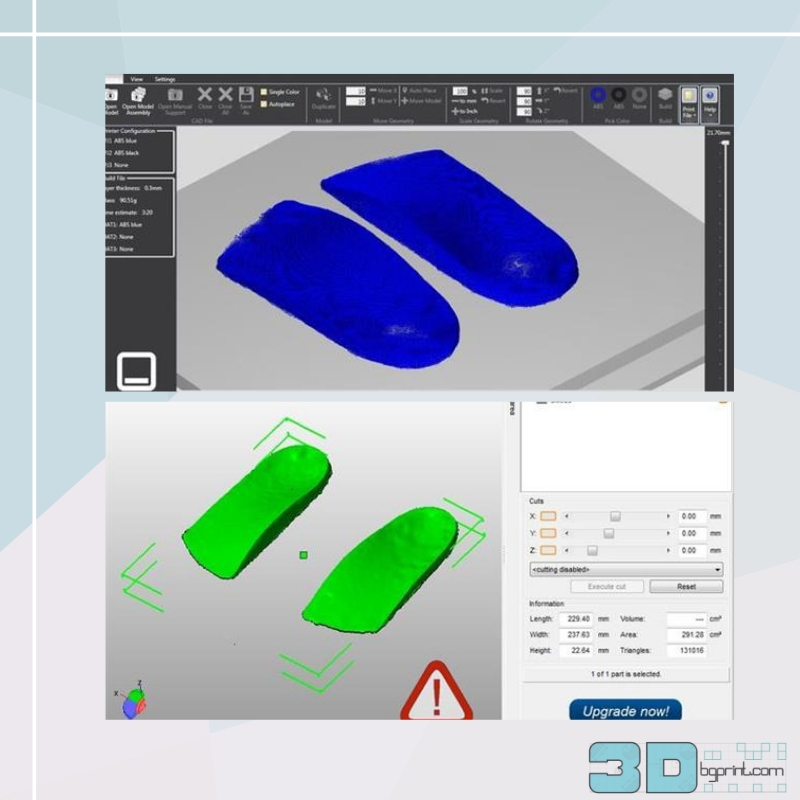 3D print your own custom orthotics, your feet will thank you! For those who experience foot pain, you know how debilitating or at the very least frustrating it can be. Often, however, foot pain can be prevented or even remedied just by correcting your shoes, and making sure they can support your foot’s arch. Getting custom orthotics, however, which are made to the shape of your foot and fit inside shoes, can be very expensive, ranging in price of up to $500. That is, until now. Instructables user Matter921 and his friend Nate, students in physics and bioengineering, respectively, have created an easy to follow 3D printed custom orthotics tutorial that could have your feet humming in no time. 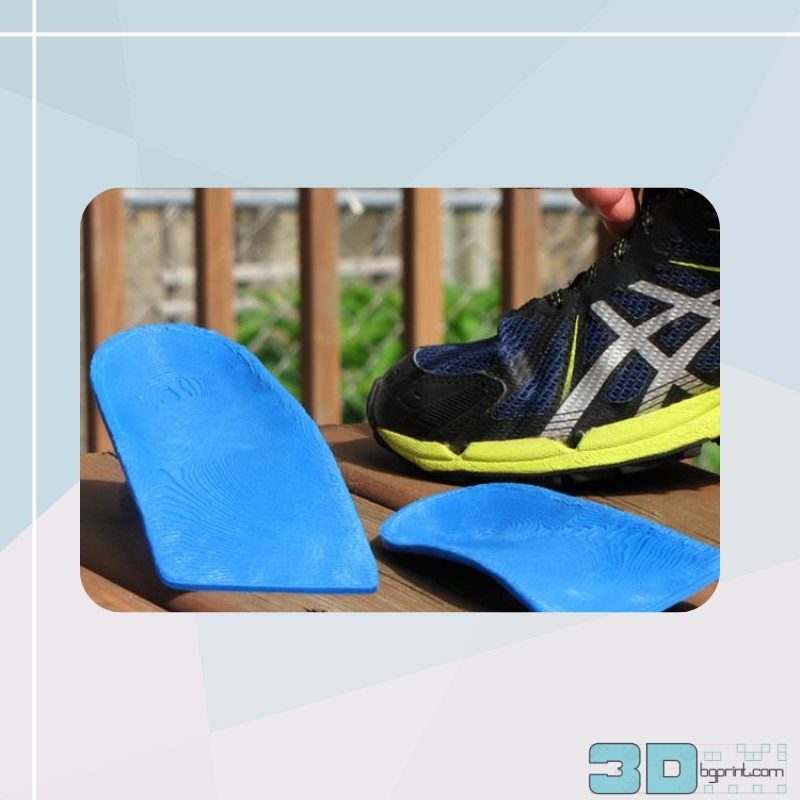 To make the custom fitted orthotics, you’ll need a few simple materials. First, to make a soft imprint clay you’ll need some standard kitchen ingredients, such as flour, salt, cooking oil, cream of tartar, and food coloring. You’ll also need a smartphone, tablet, or camera, a free 3D modeling softwares (such as 123D Catch, Meshmixer, and netfabb Basic) and of course, a 3D printer (or access to one). 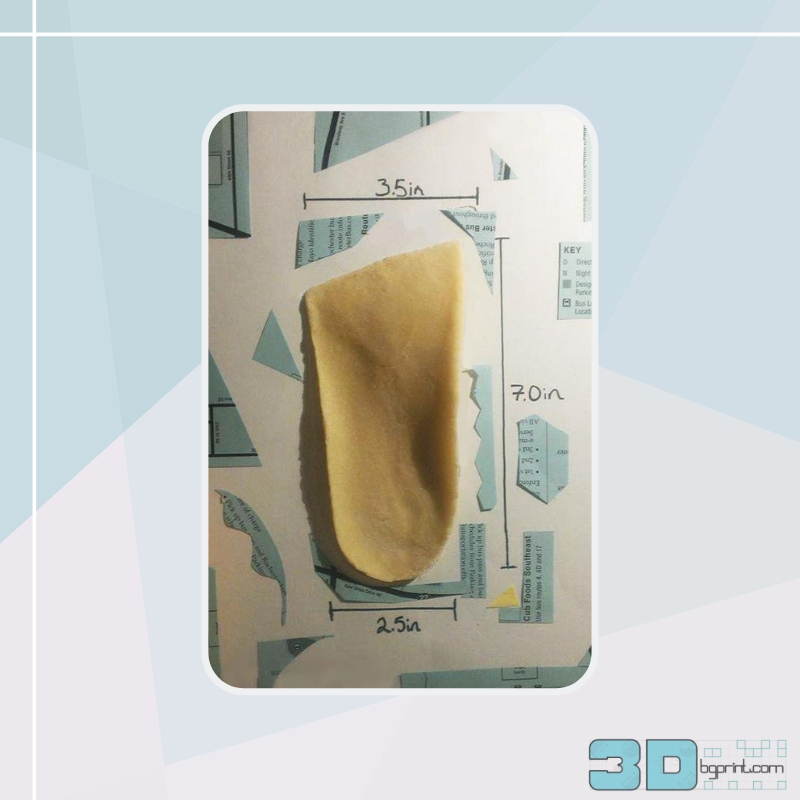 The first step in making the custom orthotics will be to make a mold of your foot’s sole using the imprint clay. To make the imprint clay you simply need to mix the flour, salt, and cream or tartar together in a pot, and add in oil and colored water until the mixture is smooth. Once they are mixed, you can put the pot over a low heat setting and stir the mixture until it begins to form a clay (about 3 to 5 minutes). Remove the pot from the heat, let the clay cool, and make sure to store it in an airtight container before use. Of course, you can always skip this step and simply buy some clay or Play-Doh! Getting the proper foot cast can be a bit tricky, but fortunately Matter921 has used an almost fool proof method of obtaining one called the ICB method. First you’ll have to mark the “key reference points” on your foot, which include the talo-navicular points, the second metatasal head, and the tibial crest. You’ll then have to carefully draw a line between the three points, when the point line up and the line is straight, your foot is in the proper position. Next, and with the help of a friend, you can lower your foot onto a large slab of clay, and have them press your heel to the bottom of it. With you heel pressed down, you can then press down at your pinkie toe base joint, and continue until your big toe base joint (first metatarsal). Then simply remove you foot from the clay, make sure the cast looks proper, and continue with your next foot. According to Matter921, this process might take a couple tries to get right. Next you’ll begin the 3D modeling phase. To make the modeling process easier you can first remove the extra clay from around the mold, and for exact precision place a regular shoe insert lightly on top of the mold and carefully cut around it. Then, using 123D Catch (which you can install on your tablet or smartphone) you can begin to take photos of the mold (the program will instruct you on angles and directions to shoot from). Be sure to take lots of photos from lots of angles! The reconstruction software will be able to stitch the images together to create a 3D model. Once you have the 3D model, you can import the .STL file into MeshMixer and begin to make adjustments to make it print ready. These adjustments include orienting and scaling. For orienting, you’ll want to make sure the top of the model (in white) is visible, and that it runs along the ground lines. Since you are making something to fit your feet, scaling is crucial. To do this, the makers included a ruler in the original model to ensure the scale. To make them the right size, you can first remove all of the material that goes beyond the ruler’s height. Next you’ll want to make sure the z-axis (the horizontal axis) is the same size as the ruler, which will properly adjust the scale of the orthotics. Once that is done, you can remove all the excess material from around the digital insoles. Next up is 3D printing time! 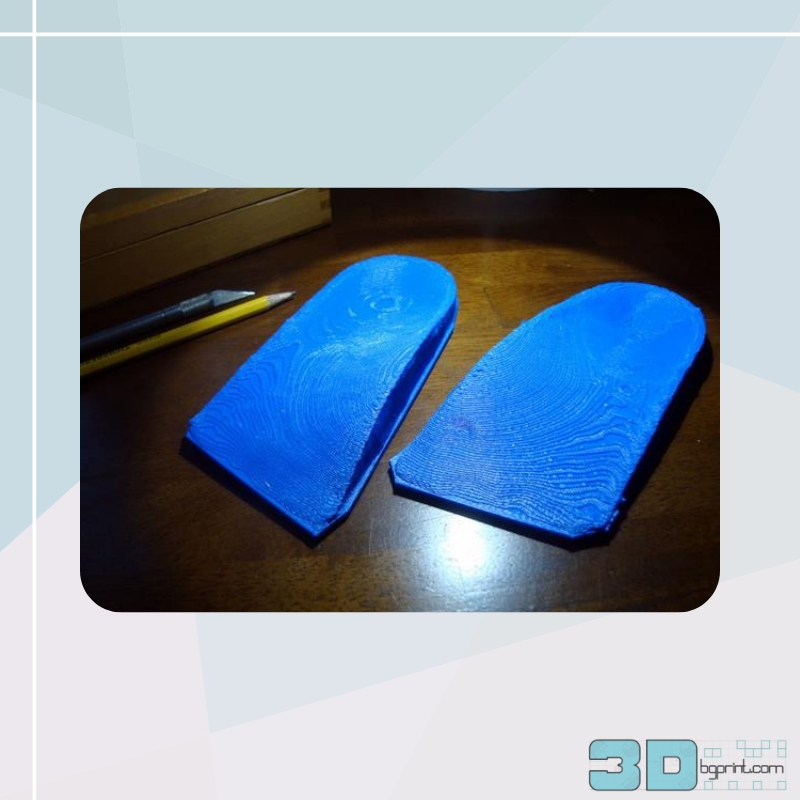 According to the makers, their own orthotics took about 4 hours to print and used 75g of filament. Once the printing is done, there are only a few finishing steps to do before completion. As you’ll notice from your print settings, the bottom surface of the print is very thin and the infill is quite low, which means you can remove most of it. Using a pair of pliers you can start by poking out the bottom surface of the insole, and then continue to remove the material inside until you have nothing but the hard top surface left. You’ll also have to remove the sides of the print, with pliers or with a knife. Finally, you’ll know when your orthotics are ready when the thickness of them is constant at 3mm, and the toe and heel are both flat on the ground. With a little bit of smoothing out, you can already start to wear your custom fitted orthotics. Your feet will thank you!